I tried hummus for the first time when I was 25 years old. That seems kind of insane to me now. My three year old has had it a number of times. I’d never even heard of the stuff until I tried it! Of course, it wasn’t the trendy popular food then that it is now. But still, twenty-five! And the only reason I even tried it was because my co-workers were eating it at lunchtime and raving about the stuff. I have to say, I wasn’t too impressed when I tried it. It was okay, but I kind of thought it didn’t really have a lot of taste. Rather bland and boring. Although, I think it must have been a plain hummus. Maybe garlic? I’m not sure. I do know it wasn’t all that exciting, so I didn’t have it again for quite some time. Until I discovered roasted red pepper hummus! I absolutely loved it. So much flavour! When I realized how easy that stuff was to make I was pretty excited. No one else at my house really likes it though, so the giant tub at the store is really a little excessive. But…..I get bored easily. So after making roasted red pepper hummus a few times, I needed something new. And I’m still not into the plain garlic hummus. (Although I haven’t tried making it. Maybe I need to try that, everything is better when it’s homemade.) So I decided to try making hummus with my favourite legume – black beans. Basically, I needed something to dip my pita chips in. And I needed something different. Black bean hummus it was. So, so good. 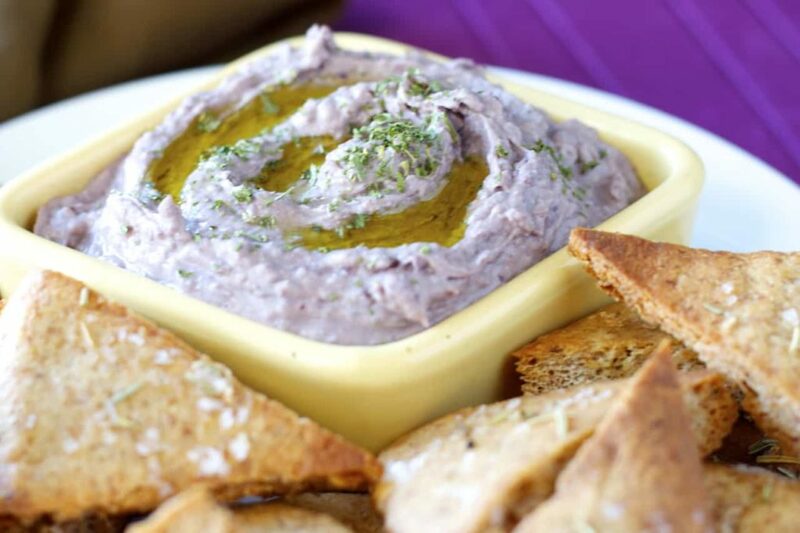 Black beans and lime in a creamy dip, it was absolutely perfect with pita chips. My son went crazy for this dip. It was the perfect lunch for him. Pita chips with black bean hummus to dip them in. Easy to pack and it was a healthy addition to his lunch. We will definitely be making this again soon. It was gone way too quickly! 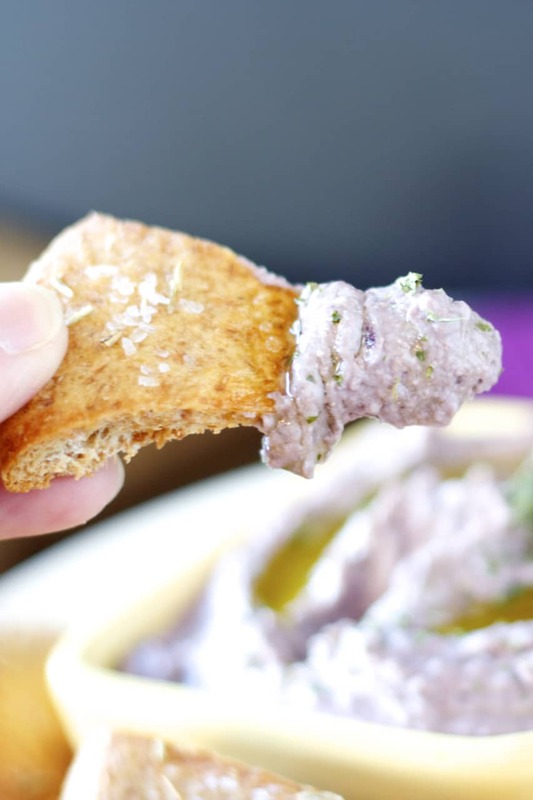 I also shared this black bean hummus recipe over at Food Fanatic, so make sure to check it out over there! I LOVE using black beans. They are so hearty and healthy! This is a great mix up to my usual routine! Thanks Shelby! We really enjoyed it too! The first time I tried hummus was about 6 years ago and now I'm hooked! This black bean version sounds fantastic! I love the flavor and how creamy it is. What a perfect, healthy snack! Thanks Gayle! There's just so many combinations to try, that now I love it! I never tried hummus until college! Which boggles my mind now! I eat it like mad these days. 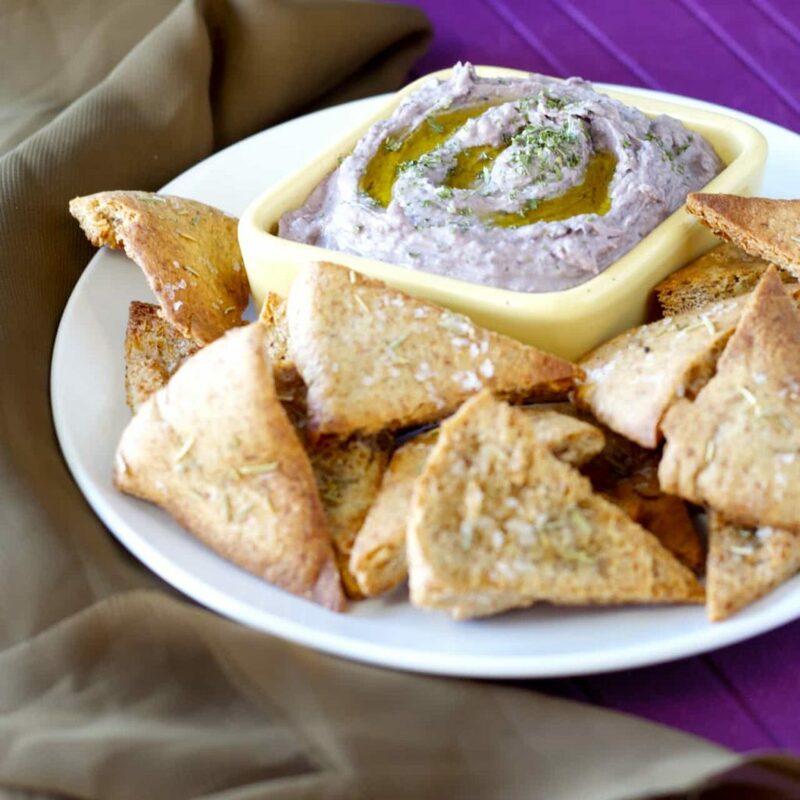 Love the sound of this black bean hummus - I've yet to try a black bean hummus flavor! Crazy hey? I really think it just wasn't as popular before, because I don't even remember seeing it any earlier and now it's everywhere! Thanks Ashley! this looks so good. the perfect party dip! HAPPY ST.PATTY'S DAY TO YOU! I was a little late to game when it came to hummus also. But now I'm hooked! I am loving this version with black beans. It's a great twist on the traditional stuff. Hummus is the best. I've never had it with black beans, but this is such a great idea! The color is so fun! Yeah, it ended up kind of purple which was neat, a little more appealing than black! :) Thanks Kathy! Jalapeno?! That sounds awesome, I've never seen that! Need to try that one soon. Thanks Erin! I love hummus and don't worry I was the same as you. I didn't try it until I was in my 20's either. I think its more common now too and easy to make. I do get bored of the regular stuff and this has a nice twist. I'm going on a diet this week (yuck right) and I'm gonna try this with all my veggies. Thanks sweetie! Pinned! Thanks so much Cyndi! Hope you like it! Of course! I'm all about finding excuses to eat more chips! Thanks Ashley! Regular hummus is just a bit boring when there's so many other options right?! Thanks Mira! Yum! I love the spin on the classic hummus Stacey! definitely trying! pinned. I'm with you, roasted red pepper is the way to go! I also found spinach artichoke ... I was SOLD. Using both kinds of beans is so fun! Black beans for the win! Ooohh, spinach artichoke sounds pretty awesome! I think I know what kind I'm trying next now! Thanks Mary Frances! I love that you added black beans to this hummus. Awesome idea! I didn't start eating hummus until recently as well. It is so good! I love that there's so many combinations you can make of it. I enjoy it much more now that I've discovered all the possible variations! Thanks Kelley! Aren't they the best? It's the one kind of bean that I actually really really enjoy! Too bad my family isn't totally on board with that! :) Thanks Justine!